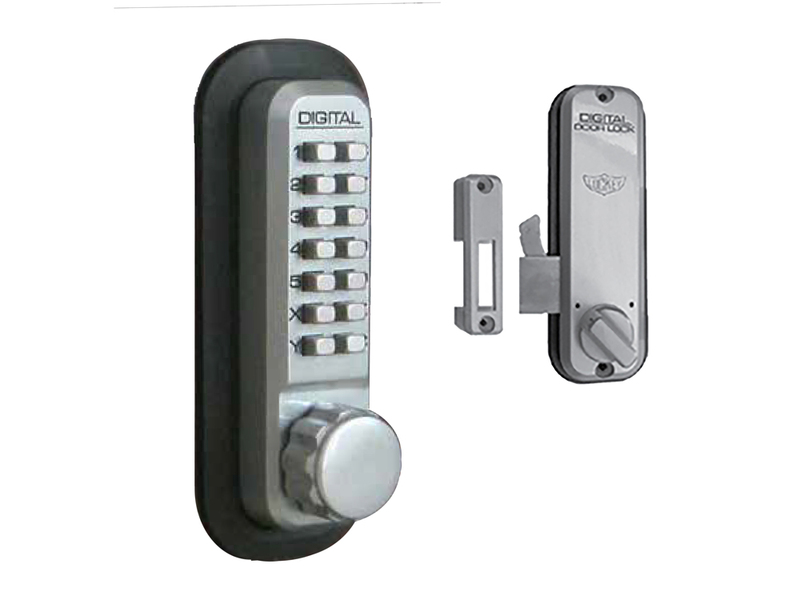 Sliding door locks have the safety features of our other outdoor keypad & combination locks, and also have a hook-shaped bolt which catches in the stationary frame that goes around your sliding door. 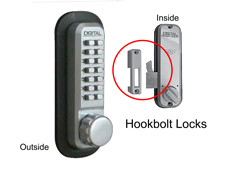 With a hookbolt on your sliding patio door, you won't need to put a stick in to prevent the door from opening. 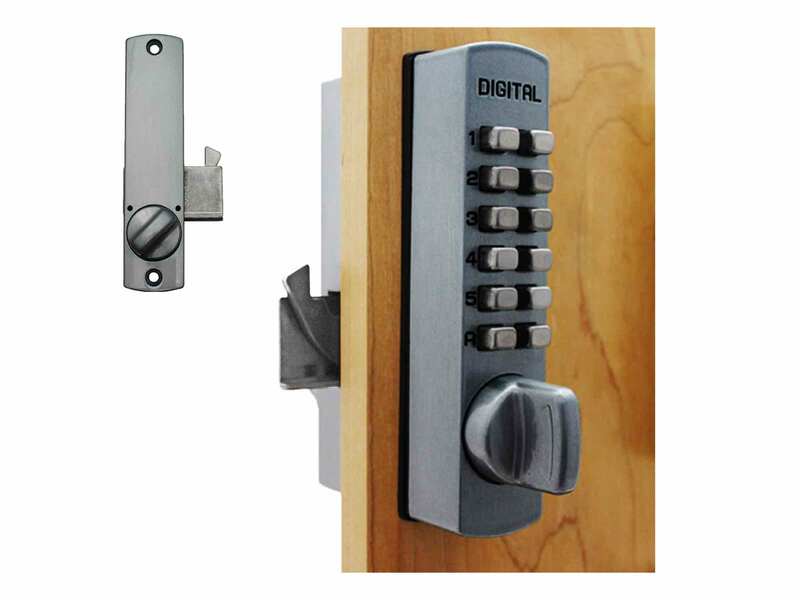 We carry key locks for sliding glass doors and wood doors that will help your peace of mind. 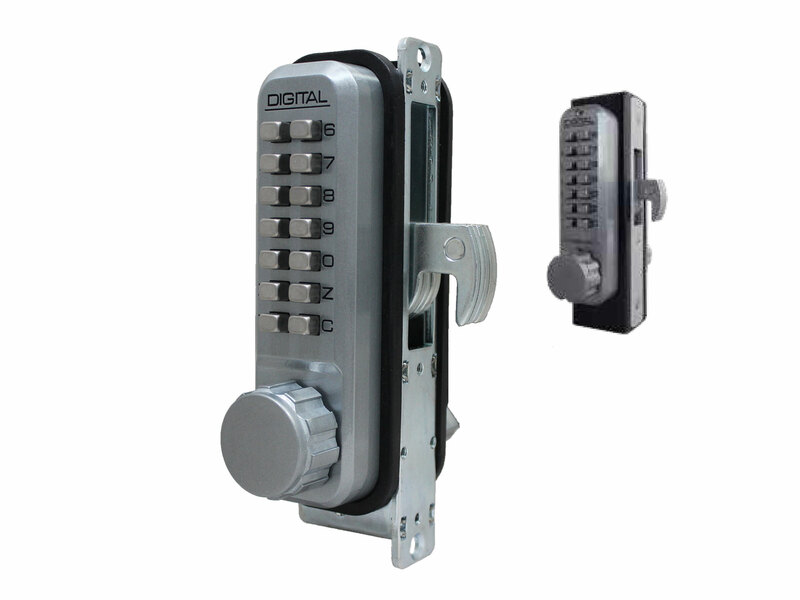 And, you will never be locked out again! If you know the code, you'll always be able to open it from the outside. 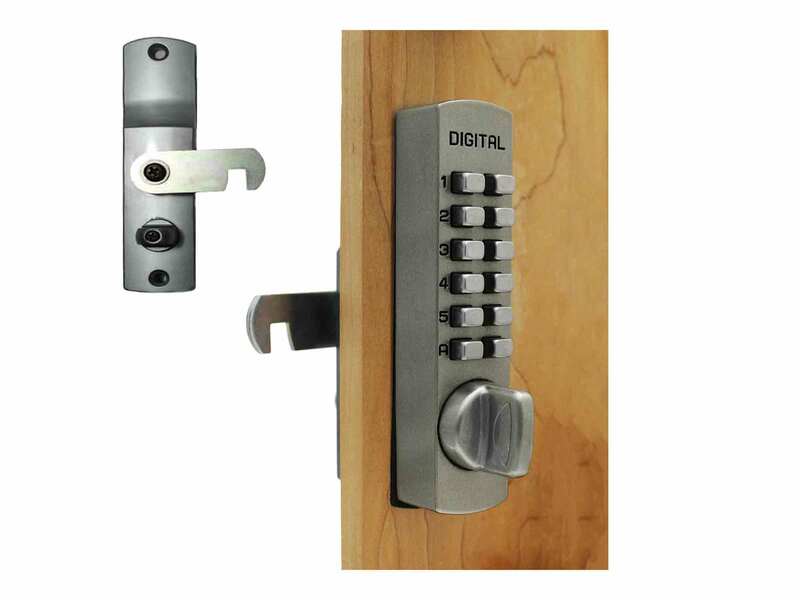 That's why these locks make excellent patio door locksets. Click below to view each model and to put in your cart.